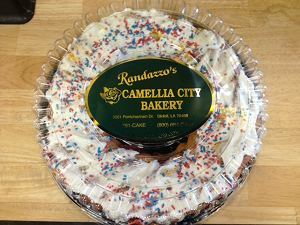 This is the 16th year that we have sent out king cakes. This is a wonderful moral booster to let our troops know that we love them and are thankful for all that they do and give up for us. A taste of home to our brave troops. If you know someone serving in the war zone, please register them with us. You can help all year by purchasing tee shirts and car magnets or simply making a donation. No amount is too small! Contact Brenda Ogden to Volunteer 985-892-9700.